What is the topic you want to use the circles for? Write down what that topic is and why it is desirable and/or important for you to make progress with respect to that topic. What progress have you already made since you started working on that topic? Write everything you have already accomplished on small post-it notes down and put them in the inner-circle. Take your time to think of every little step forward you have taken; nothing is too small. What further progress do you need or want to make? Write down on post-its what to try, learn, master and/or accomplish next. Formulate those steps forward in positive and specific terms. Choose your next step forward. 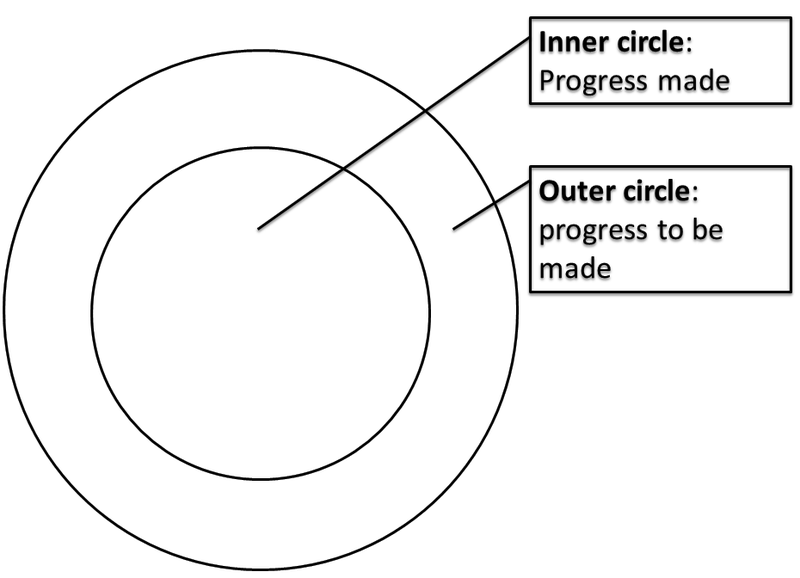 Which post-it from the outer circle would you like to move to the inner circle first? Think of how and when you want to take that step.